We recap week 1 action in FCS HBCU football from across the country! Check out scores and top performances from this past week! Also, games to watch for week 2! The MEAC/SWAC Challenge is always a big matchup between the premier HBCU football conferences and these two teams didn't disappoint! Prairie View made a big time off season hire with by snagging former Grambling State offensive coordinator Eric Dooley. Coach Dooley has already done a great job with turning this Panther team into a real championship caliber team. Prairie View jumped out to an early halftime lead of 23-7 piled up over 400 yards of offense in the 1st half alone! NC Central responded after halftime however with 14 unanswered points to get back in the ball game but that momentum would not be enough to stop the high powered offensive attack of PV. PV quarterback Jalen Morton finished 19 of 35 passing for 264 yards and two scores and also added 72 yards on the ground and a touchdown. PV running back Dawonya Tucker rushed 21 times for a MEAC/SWAC Challenge record 247 yards and a score to seal the game. Defending black college national champion North Carolina A&T knocked off an FBS opponent for the 3rd year straight and notched their 14th straight victory dating back to last season. Backup quarterback Kylil Carter threw two touchdown passes in the fourth quarter to lead the Aggies to victory and Timadre Abram intercepted a pass in the end zone as time expired to seal the win! The Aggies knocked off FCS power Jacksonville State last week and are showing why they are one of the best teams in the country. They are now 2-0 on the season. 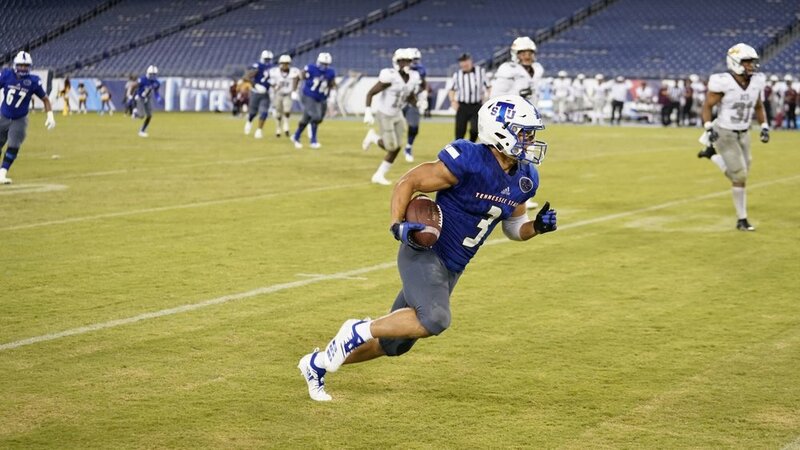 Tennessee State showed no mercy cruising to an easy victory over traditional HBCU power Bethune Cookman. Preseason All-OVC selection Steven Newbold was held to zero catches this game but Junior wide receiver Chris Rowland picked up his production to lead the Tigers to victory. rowland finished with 7 receptions for 154 yards. TSU handed Bethune Cookman its worst FCS defeat since 2009 as their defense held the Wildcats to just 244 total yards. TSU also racked up 5 sacks, 2 turnovers on downs and 2 interceptions to wrap up a stellar defensive performance. Tennessee State matches up with Jackson State in a big HBCU battle at the Southern Heritage Classic. Newton racked up 532 total yards as he passed for 439 yards on 26-of-52 attempts and racked up another 93 yards on the ground on 21 attempts. He finished with 4 total touchdowns to go with the third most yards in a game in Howard history. McCain put up a shutdown performance in an upset victory over Eastern Carolina tallying up 11 tackles, pass breakups and a 100 yard interception to the house! 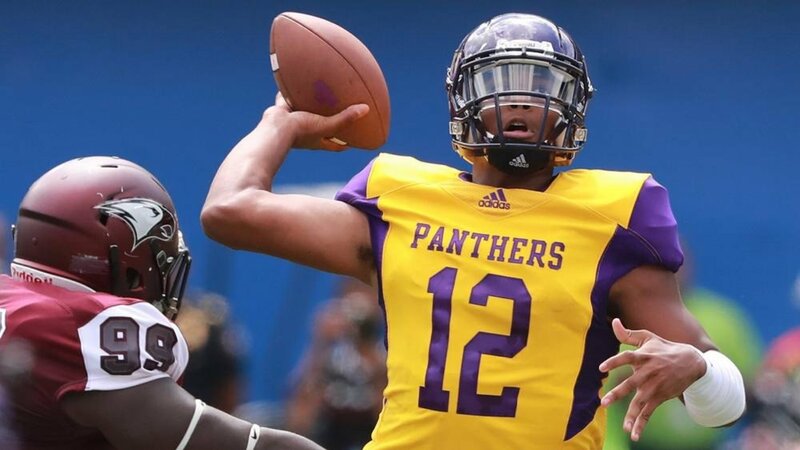 The Panthers Morton finished 19 of 35 passing for 264 yards and two scores and also added 72 yards on the ground and a touchdown to lead Prairie View to victory over NC Central. Rowland finished with 7 receptions for 154 yards and 4 punt returns for 64 yards to guide the Tigers to victory over Bethune Cookman. Josh Wilkes caught 7 passes for a school record 244 yards receiving and two touchdowns in an upset loss to Morehouse. Bethune tallied up 6 tackles, 4.5 tackles for loss, 1.5 sacks and 3 quarterback hurries to lead a shutout victory over Miles College. Nike’s decision to feature Colin Kaepernick in their 30th anniversary campaign of their “Just Do It” motto has people choosing sides! What’s the real issue? We discuss it here! Serena Williams has been banned from wearing her Nike designed “catsuit” at the French Open. We discuss why this rule shows how black women are over sexualized because of their body!